We know that pesticides or insecticide are harmful to the human body, but to what extent? A new study finds that serum levels of a pesticide metabolite are associated with increased risk for a diagnosis of Alzheimer’s disease (AD). Until 1972, pesticides containing dichlorodiphenyldichloroethylene, familiarly known as DDT, were extensively used as an insecticide and for controlling a family of diseases, such as malaria. However, even though DDT was banned in Canada and the United States, it is still found in 75% to 80% of local serum tests, partly because of its exceptionally long half-life but also because of its continued exposure from food imported from other countries, such as India and Spain. In fact, the World Health Organization supported reintroduction of DDT for malaria eradication in 2006. Dr. Richardson of Rutgers analyzed serum samples from patients with and without Alzheimer’s. When all other causes of dementia were ruled out, it was found that patients with dementia had almost 4 times the level of DDT in their serum than those who were clear. 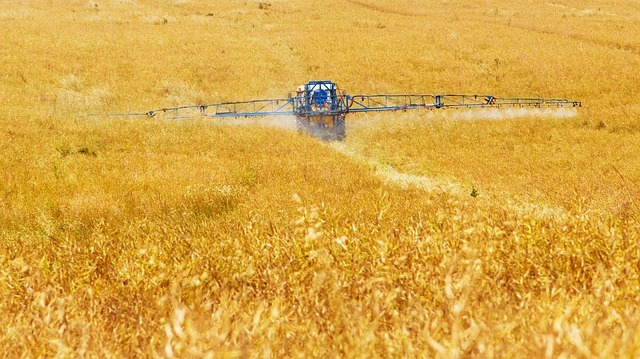 Patients exposed to other chlorine-based pesticides were not affected at such high levels. Yet, it’s impossible to determine whether areas of the world with persistent DDT exposure have higher rates of Alzheimer’s because of the different methods of diagnosing and reporting the disease, and in collecting relevant data. Nonetheless, it is clear that environmental factors may influence the risk of Alzheimer’s and potentially other illnesses as well. I personally will attempt to minimize toxicity in my body by doing a regular detoxification and consuming certain organic foods. This entry was posted in Mental Health and tagged Alzheimer's disease, DDT, Pesticides. Bookmark the permalink.